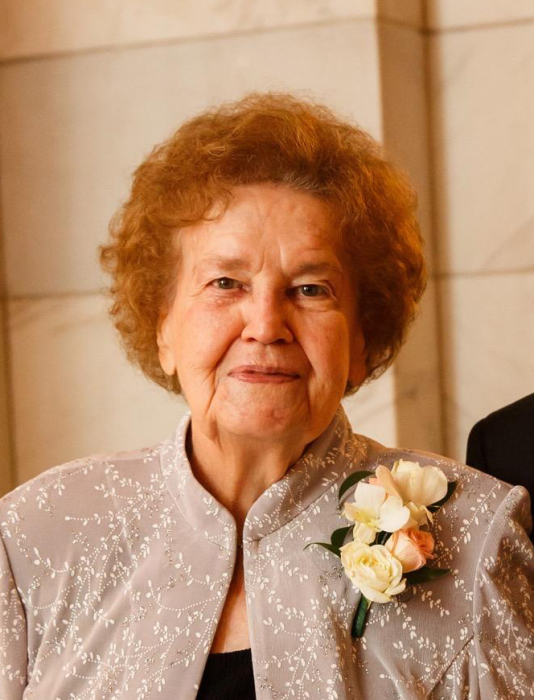 BARBERTON---Doraine Armbruster (nee McDermott), 98, passed away April 13, 2019 at her residence. Doraine was a life resident of Barberton and worked for Seiberling and Firestone Tire and Rubber Companies. She was a dedicated member of St. Andrew the Apostle Catholic Church, serving in the Altar Guild Society and a past officer of the LCBA. Doraine was a talented seamstress and kept up on the latest fashions. She was known for her baking of nut rolls, pineapple slices, cookies and candy making. She was also an avid reader. Doraine will be remembered for her unconditional love of family, her faith, love of life, positivity, generosity and caring spirit. Preceded in death by her parents, William and Louise; husband Joseph “Joe”; sisters Helen “Honey” (Russell) Huth and Trudy (John) Crawley; brother Derry (Jean) McDermott; son-in-law Daniel Manning; sister in-law Gertrude (Andrew) Frankovich, brothers-in-law Steve (Eileen) Armbruster and George “Pork” (Alice) Armbruster. She is survived by her son Timothy; daughters Judy (Ned) Chatelain, Colleen Manning, Kathy Cronin, Pam (Mike) Zsely and Jan (Tedd) Towsley; grandchildren Keith and Jonathan (Stephanie) Manning, Brooke (Will) Rebello, Nichole Towsley (Doug), Kara Towsley Genco (Mike) and Adam Zsely; great grandchildren Kaitlyn, Tyler, Ryan and Mia Manning, Chase Rebello and Gianna and Cameron Genco; and many loving nieces and nephews.